Getting best marine battery for trolling motor is best way to get most out of boating hobby. 12 volt batteries comes in 3 types. Deep cycle, starting/cranking and dual purpose. Starting or cranking batteries have initial power to provide a short surge to engine whereas the alternator recharge battery with time. Deep cycle is slightly slower and it distributes power more evenly. They are actually the work horses of any boat and give a steady power to trolling motor. They provide power to your boat accessories also when you don’t have other power sources like when engine is off and alternator is also not working. Dual purpose are those batteries that can become starting as well as deep cycle batteries simultaneously. They have enough current to deliver high charge to crank or start an engine and provide steady lower current as well over long period of time. As dual purpose batteries do not have same cranking power as compared to starting batteries and they live through lesser charge cycle as compared to deep cycle battery, it is preferable to get separate set of both batteries for both purposes. 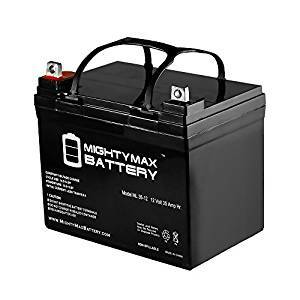 If you are seeking the best marine battery for trolling motor, go through these short yet comprehensive reviews below. 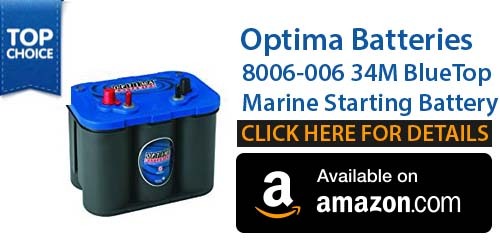 Optima is the best marine starting or cranking battery with 12 volt and 800 cold cranking amps. It utilizes the patented technology known as SPIRALCELL which extends the battery life, allowing it to go for long and faster recharge. Its build quality is stellar and bit professional. When it is about durability, it include plates inside it that can absorb vibrations. This is important when you are on jerks and waves. The protecting case is solidly built with professional craftsmanship. It entirely seals the internal parts of battery and prevents everything from spilling. You no longer need to worry about the acid leakages, spills and even cleaning terminals. This is the main point of difference about Optima batteries. It is free from corrosion as well as you can mount it anywhere without any worries about any problem for your battery. The battery has extra outlets if you need to hook up any other 12 volt accessories to it. Its installation process is quite easy. It provides marvelous power to the trolling motor and best marine battery for those who want cranking feature. As compared with its competition, we discover that Optima Blue Top provide most consistent surge of current to trolling motor. It has the lowest fail rates and popular for great customer support. If you aren’t convinced, it comes with 2 year guarantee. It never failed during the test, and therefore we put it through beating just to ensure it stays functional even over heavy waves. 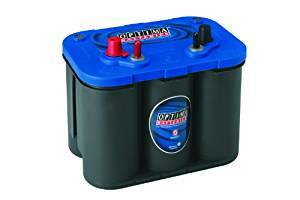 You will need to check out Optima’s website to find out the right sized of Optima Blue Top marine Battery. 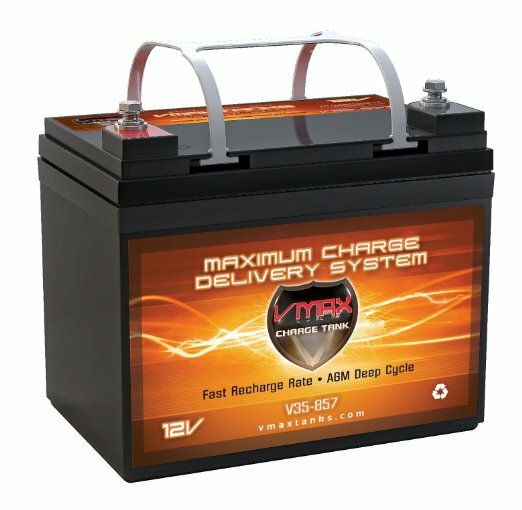 If you want a deep cycle marine battery, VMAX is the best. Although this brand isn’t so much famous like Optima, it is well-respected among marine battery community because it gives same performance for lower price. It has AGM technology that stands of absorbed glass mat, which fit fits between each plates to encounter all the shocks and vibrations. This feature makes it better than lead acid batteries. It’s important because all marine enthusiasts need that protection while riding through turmoil. 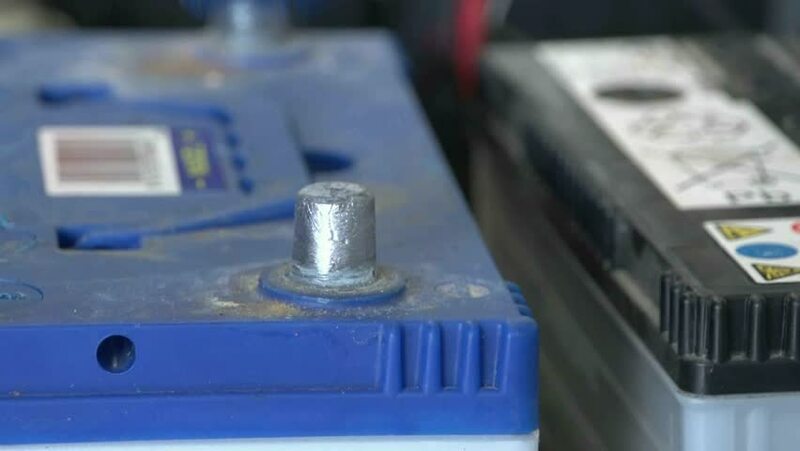 Remember, the longevity of any battery depends on plates being well fixed and anti-corrosiveness. Fortunately, VMAX Deep Cycle series has good quality build and it does not fail usually. While buying marine battery particularly deep cycle battery, make sure to get one which is durable. As deep cycle battery is a workhorse for any boat engine and for other electrical accessories, you need one which will last long and withstands with lots of charging cycles. Moreover, VMAX are air tight sealed to prevent form acid leaking out. It is made from highest quality materials and outlasts with any other type of deep cycle battery out there. 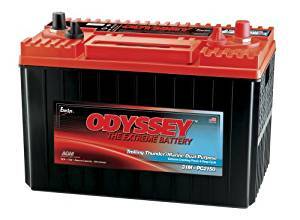 Odyssey Trolling Thunder is best dual purpose marine battery for trolling motor. By dual purpose we mean that it performs both deep cycle and cranking as well, therefore it starts your engine and maintain all electrical equipment on the boat with or without engine running. Odyssey manages to boost reserve capacity and provide more power for both deep cycle and cranking than other traditional dual purpose marine batteries. This is done by maximizing the efficiency inside battery and making appropriate use of dead spaces. The plates pack in more area to volume and therefore protected by absorbed glass mat and AGM that is actually a way for batteries to absorb shock damages from vibration because of waves and other types of turbulences. The battery include a solid frame that is necessary to ensure there are no leaks. The material with which the battery is made are anti-corrosive that means it is great to last longer. The downside of this battery is its premium price, however it is completely justified. It simply perform better for both, starting engines and maintaining other electrical accessories on the boat. We test and charge this battery several times and found efficiency cliff to be drastic and rapid as compared to other cheaper batteries. It is rare to see a dual purpose battery performing well for both starting and as deep cycle battery. The Odyssey work miraculously. There will be some brilliant mathematicians and engineers behind this piece of craft. Another issue that we found with it is that they don’t have good customer support. Many people complain that a dual purpose batteries solve their problem but they have to pay a premium cost for it. 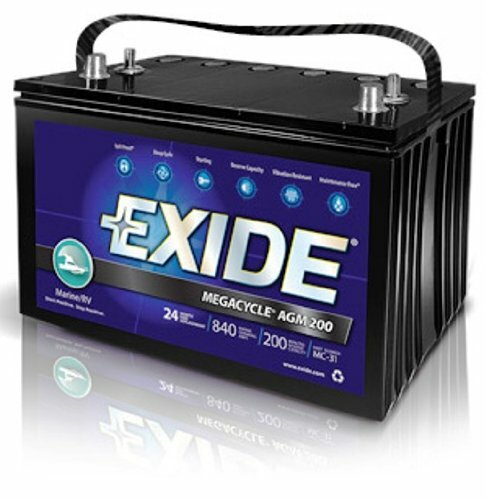 Exide XMC-31 MEGACYCLE AGM-200 is best, if you are looking for a long lasting marine battery which effectively serves both starting as well as deep cycling. Designed with latest AGM or Absorbed Glass Mat technology, this battery can withstand great vibration resistance to deliver best results in terms of power production and longevity. Its power rates are at 925 CCA & 1110 CA and it has a whopping 200 minutes of reserve capacity. Its case is made with best materials and its cells are solid to reduce all vibrations caused by waters waves. AGM technology is fully employed to compress elements to allow for more than 14X vibration protection.It comes with 24 months complete replacement warranty. Although its features and services are worth of its cost, it is important to note that AGM are comparatively more expensive than flooded batteries therefore hard to be by low budget. ML35-12 SLA is a SLA or Sealed Lead Acid rechargeable maintenance free marine battery. AGM/SLA spill proof batteries have a characteristic of wide operating temperature, high discharge rate, deep discharge recover, and long service life. It can be mounted in all positions because they can resists any vibration and shocks. The best thing they can long last in low and high temperatures. It is backed up by 30 days refundable policy and complete 1 year warranty. To deliver power when required ML 35 uses heavy duty, state of the art, calcium alloy grid which gives exceptional performance in both cyclic and float applications. It is an AGM or Absorbent Glass Mat technology marine battery that comes with a valve regulated structure which can be used in indoor or enclosed environments without maintenance and leakages and to give superior performance for 1000s of models and variety of applications such as electric vehicles, golf carts, engine starters, consumer electronics, lawn and garden equipment, hunting, motorbikes, medical mobility, portable tools, solar, power sports, toys, access controls equipment, security, emergency light and more.